Why is it that one of the most common words in the English language is the hardest for many of us say? It’s in the very core of our human nature to want to please people. Saying no is perceived as being negative or mean or unhelpful. We fear we may miss an opportunity. Or – we might burn a bridge. Or – we might make someone upset or angry with us. And who wants that? So, time and time again we say yes when we really want to say no. Often at the expense of ourselves. 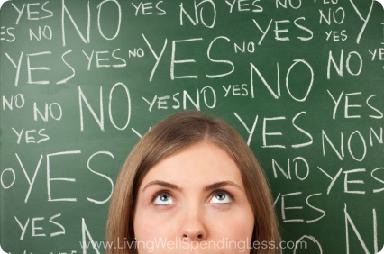 We forget that saying yes too many times can make us feel overwhelmed and stressed out. It can cause us to neglect the rest of the things in our life that we really should be doing and could be doing if we would have just said no. Even worse, it can make us resentful of the asker, and make us feel under-appreciated and over-committed. If you feel like you’re burning out, stressing out or overwhelmed, maybe it’s time to step back and take a break. Here are 20 signs you’re pushing yourself too hard. GET MY TIP SHEET NOW! Why do we do this to ourselves instead of simply saying no from the beginning? I have to admit that I have a really hard time saying no, especially when I am caught off guard. It’s in my nature to help, it is important to me to be nice and kind and considerate to the people around me. 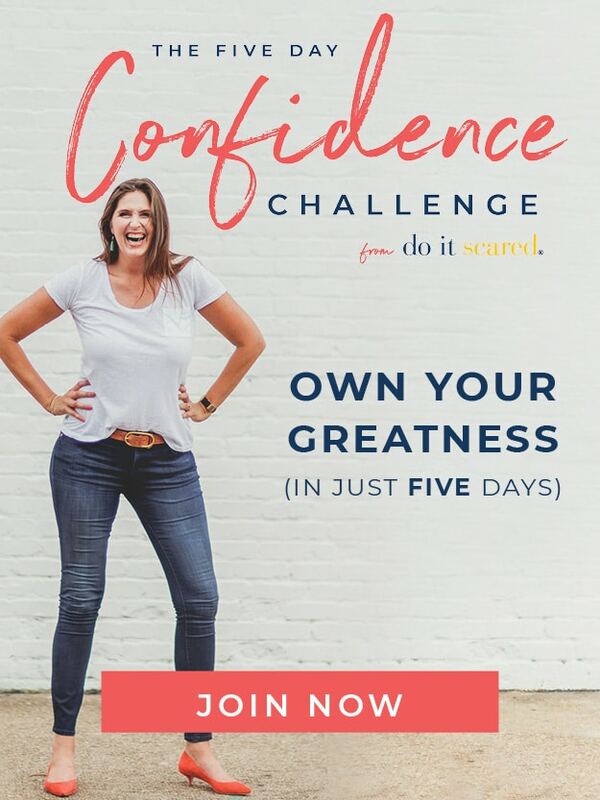 I also don’t want to miss out on what could be an amazing opportunity, or just plain fun. I want to do it all, and I want to be everything to everyone. I’m pretty sure I am not alone in this. Saying yes too often is a very common problem for many women. In fact, Lysa Ter Keurst recently wrote an amazing, life-changing book on very this subject called The Best Yes: Making Wise Decisions in the Midst of Endless Demands. And chances are that if you were drawn to reading this article, you can probably relate. 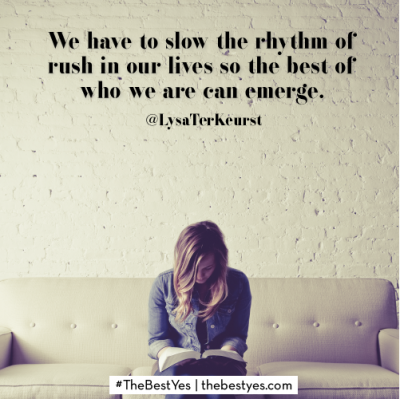 In The Best Yes, Lysa says, “we need to slow the rhythm of rush in our lives so that the best of who we are can emerge,” and in my own life, have found that I have to stay conscious of what happens when I don’t say no. 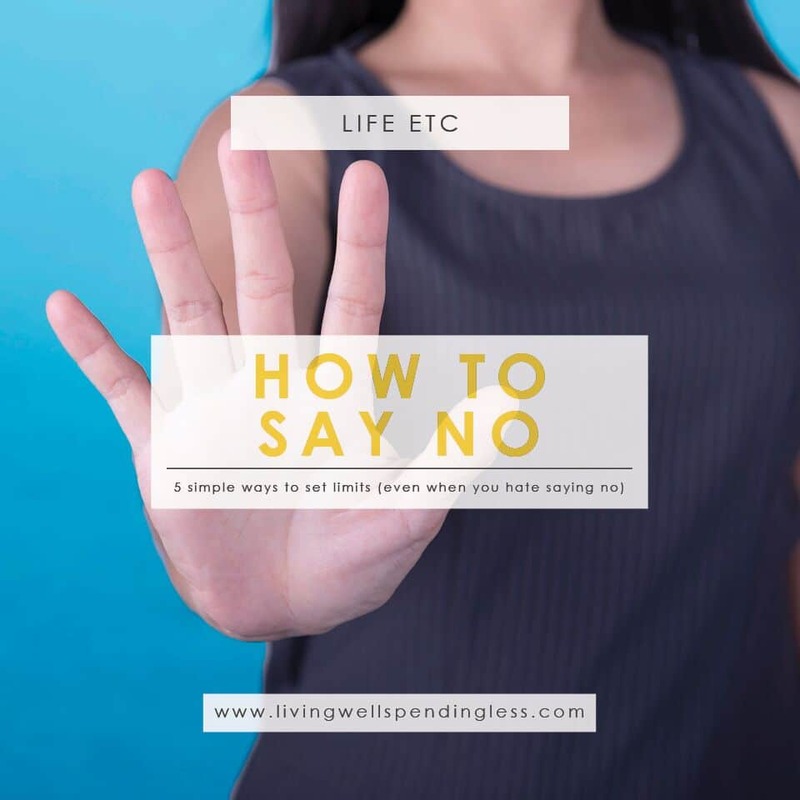 I’m learning that in order to become good at saying no, I have to arm myself with a handful of tools that will help me say no without feeling bad, and without upsetting or angering the asker. They are certainly not foolproof, and I certainly haven’t mastered them just yet, but these five guidelines might just help you too. Soften the blow by including a few positive statements before and after the word NO. These positive phrases can help take the focus off of the negative and act like a cushion to the one word we have such a hard time using. Instead of being the big fat meanie we fear we will be perceived as, we become the person who sees value in the other party and what they are asking us to do. Begin with a compliment: That sounds wonderful! or What a great idea! Gently say no: I’d absolutely love to do this, but I can’t right now. Finish with a positive: I’m so honored you would ask. I know it will be great! Please keep me in mind for next time. And, if next time still doesn’t work for you? Just say no. Sometimes we get so caught up in not wanting to disappoint someone that we forget how powerful effective delivery can be in any situation, but especially when we are giving bad news. Being prepared and positive (but firm) can greatly increase the chances of our audience reacting positively as well. Before answering a request, let the asker know that you will get back to them. Make a habit of taking a breather, no matter the request, so that you have a moment to think about how you really want to answer. It is perfectly okay to say, “I will have to check my schedule” or “I have to think about it” or “I need to talk with my spouse” before giving a final answer. Many times we say YES because, in the moment, we are so caught up in the excitement of the opportunity or the need to please that we forget how much time we don’t have or we feel obligated to accept while in person. Taking a moment and getting back to the person will give you time to think and respond appropriately without committing yourself to something you don’t want to do. Waiting to give an answer is probably the easiest way to begin your journey to effectively using the word NO. For me, particularly in the blogging and business world, it is the response I most commonly use. Pausing before answering allows me to gain a moment of clarity, bounce the request off a few people to get their thoughts and opinions about the situation, and sometimes even find someone else who is interested. Everybody wins! Sometimes, when the asker is very assertive or aggressive or good at making you feel guilty, it can be very hard to say no in person. In these cases, try changing the channel. Ask for time to give a response, then respond to an in-person or phone request through a non-confrontational channel of communication, such as email or text message. Having a firm NO in writing and without having a verbal conversation makes it a lot easier to prevent falling into the trap of back-and-forth convincing, especially when the person who is doing the asking is much more forceful or persuasive than you are. It is also much easier to type NO than say it! 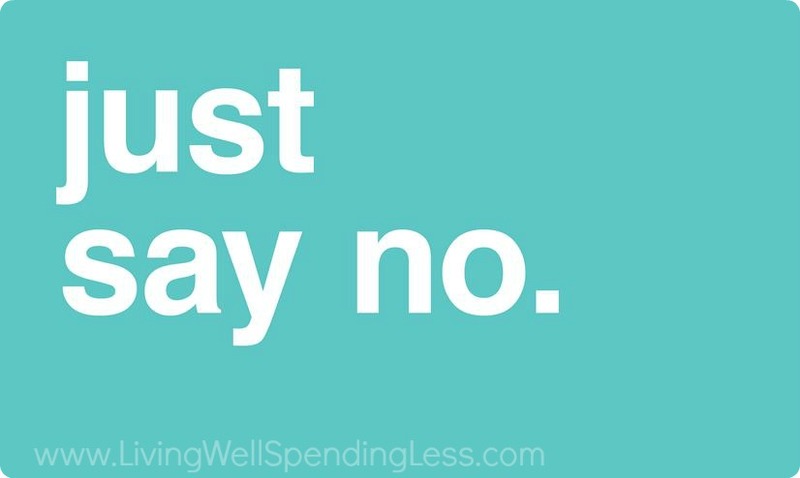 When you are asked to do something that you are not interested in doing or don’t have enough time to do, it can be much easier to say no by instead referring someone else who might be even better. Most of us know at least one or two people who like to say YES to everything, or who love being involved, or who are looking to plug in somewhere else. Perhaps it is someone who recently moved to the area and hasn’t found their tribe just yet, or another who happens to be an expert in this area and would gladly take this task on and do an even better job. By providing a name of someone else who may be interested, you can go from being he person who says no to the person who helped. There’s a big difference between the two and the latter is one both parties can feel great about. Instead of obligating yourself, drop a name and walk away feeling helpful. 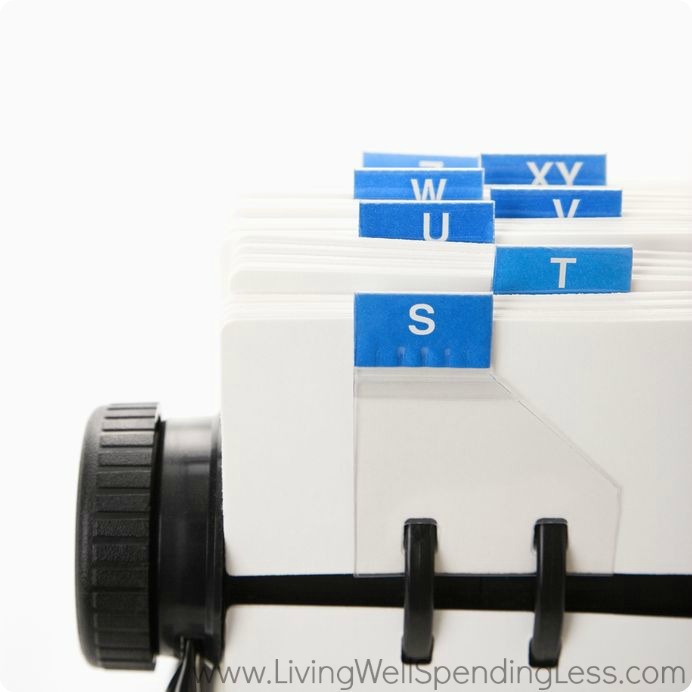 Keep your mental Rolodex handy – you’ll need it! A simple, direct NO is usually the most effective. An unequivocal NO eliminates the expectation of any other possible outcome. This response quickly frees up both the person asking and the person answering. It allows you to check the item off your mental list instead of wasting any additional thought on it. So why is so it so hard? For me, it has taken actually practicing in front of the mirror, but I have learned that sometimes simply saying no on the spot while leaving out the fluffy details ultimately saves both parties time and energy. It’s still important to be polite, and I can still surround my no with niceties, but when I don’t hedge, there is no confusion. If you have no intention of saying yes, and it’s clear to you that you have no intention of saying yes, why prolong the answer? Be quick. Be considerate. Be confident. But say no. Saying no can be really hard sometimes, and even painful. But often the alternative is even worse. 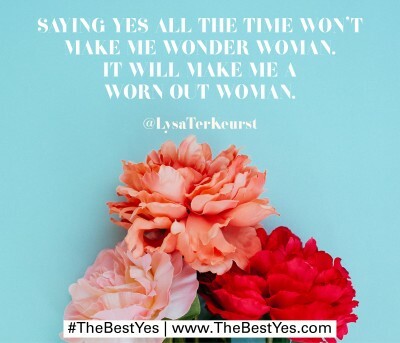 As Lysa points out in The Best Yes, “saying yes all the time won’t make me Wonder Woman, it will make me a Worn Out Woman.” We never know when we might be caught off guard by someone asking for something, but with a little forethought and preparation, we can be ready to say no when we have to so that we can say YES when we want to. Do you ever have a hard time saying no? What techniques have worked for you? Most of these ideas are very good. But I have to recommend caution on the “refer a friend” idea. You say, “Most of us know at least one or two people who like to say YES to everything, or who love being involved, or who are looking to plug in somewhere else. ” The truth is that the person that you may think likes to say YES to everything could be just struggling with saying no herself! Unless you are very sure that the person you recommend would like to be asked, I recommend using one of your other methods to say no. I absolutely agree with you. I was on the receiving end of one of those “I got your name from…..” I did not appreciate it at all. That was the easiest no I have ever said. I used to have a hard time saying no to things, before I had kids. Now I find it’s much easier. 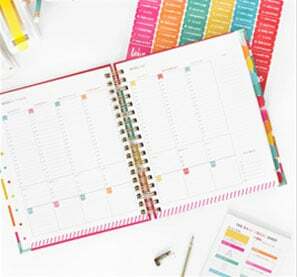 I have a lot more going on and I just let the person know that this season of my life is busy with the kids and family things so I don’t have the extra time. Most of the people who ask me understand. My co-worker uses her kids as an excuse for everything. She’s like a parrot. She jumps in with her excuse before you can ask her anything. Well, it worked. No ones asks her to do anything or expects her to show even for meetings. In return, I stopped doing for her. I too have found it easier to say no to certain people or tasks since I had a baby. It’s easier to say “I’ve just got my hands full with a little one right now” and they nod in agreement, and move along. It still makes me feel bad sometimes, but otherwise I don’t feel as “stretched” as if I had said yes. My only remaining problem is saying no to my mom! My husband and I are a one salary family right now, and it seems there is always a birthday dinner, welcome home dinner, let’s go to dinner, etc…she knows our financial situation, but still insists on things, even offering to pay most times, but it still makes me uncomfortable, and irritated. How do you say no to the overbearing mom or family member? I love spending time with her, but at what point do you say “no” more?! Anyone else in this position? Saying no to what you do not want is the best way to get to where you really want to go… love this advice, thank you!